Of the many highlights of the big day, the one thing that always gets the aunties, uncles, and grandparents talking is how cute the page boy or flower girl is. If this is your child, and your big day, you are prone to a little bit of bias, but you still need to think about the essentials when getting them ready for the big day. Firstly, you need to consider the season you’re getting married, which will dictate practicality and comfort, as well as the budget. Remember; make sure that it is in keeping with your overall theme. It can be very easy to dress a flower girl completely different, but there’s no point in overdressing them. The fact is, everyone is going to be commenting how cute they are, so is there any point in going above and beyond, style-wise? Have a look online for some examples of the type of thing you want to, and from there, you can go to outfit suppliers, and discuss with them exactly what you want. There are wedding planners like The Wedding Gallery that can work with you so you’ll get it right stylistically. 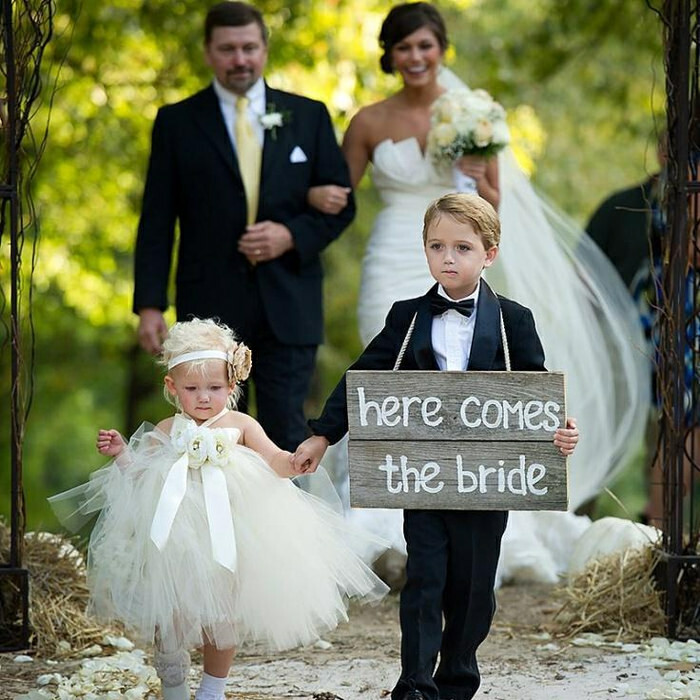 A page boy or flower girl is a very important addition to the big day because they need to stand out in the right way. It can feel like a very big duty. After all, everybody is going to be watching and they may be very excited about the idea, but the closer the date looms, they could get cold feet. Before the big day arrives, be sure to make a fuss over them, and while trying their outfit on, tell them how handsome or beautiful they look! If it helps, go over the walking down the aisle parts, so they know exactly what they’re doing. When it comes to the big day, no doubt there will be a combination of excitement and nervousness, and, depending on their age, this may mean, with all of the chaos going on, they will need some reassurance. So, if they are going to walk down the aisle themselves, ask them to practice what they are going to do, or if they are walking down the aisle with someone, no doubt the child will stick to them like glue. This is obviously going to be reassuring for you, so they have some support, especially when the registrar or the officiator discusses what’s going to happen just before the ceremony starts. Page boys and flower girls are always one of the major talking points of any wedding, which is why it’s worth fussing over them in the lead up to the big day. They will feel that they have an important part to play in your wedding, so, this is why you shouldn’t neglect their needs. Planning the outfits for them is usually one of the final details, but they want to feel they are part of the big day.